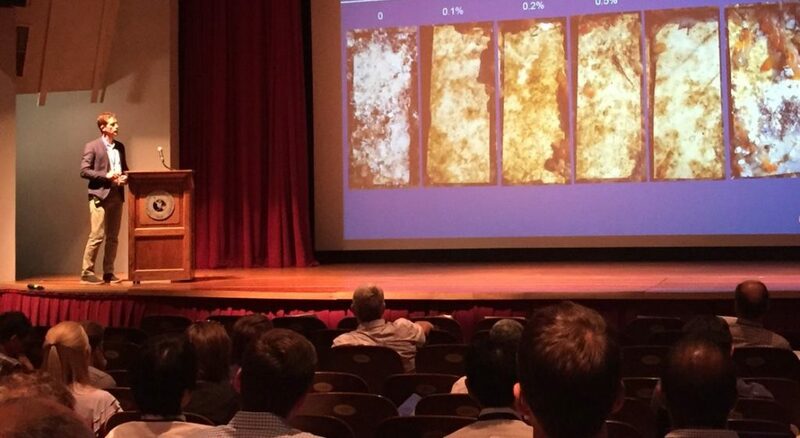 Hank Lobe co-chairs and presents a paper at the session of Beyond Ships at the International Congress Marine Corrosion and Biofouling (ICMCF). The conference was held at the Florida institute of Technology, Melbourne, FL, June 24-29, 2018. The ICMCF is help every two years and premier scientific conference on the topic of biofouling and biofouling control. The ICMCF introduced topic Beyond ships to meet the growing demand to address non-ship biofouling control applications. Severn Marine Technologies is a world leader in non-ship biofouling applications and as such Hank Lobe was selected to co-lead this session as well as present the paper “Foul Release and Integrated Solutions for Instrument Protection”. The paper presented described the use of the ClearSignal foul release solution as used in conjunction with other biofouling control technologies to provide a complete control system as an integrated solution.